How do I tell a story with data when my data is always changing? We can’t put a lot of static explanatory text on the page to help our audience understand the trends because the trends will change as the data is refreshed. Example: “Sales are up year over year, and the East region is the top contributor to current quarter profit” is true today, but may not be true next month. My chart may look good today, but new values may come in that change the scale and make it difficult to see small numbers compared to a very large number. Example: A bar chart showing inventory levels by product looks reasonable today because all products have a stock level between 1 and 50. But next month, a popular new product comes in, and you have 500 of them, which changes the scale of your bar chart and makes every other product’s inventory super small and not easy to compare. I can’t statically highlight outliers because my outliers will change over time. Example: I have a chart that shows manufacturing defects by line, and I want to highlight that the dog treats line has too many defects. I can’t just select that data point on the chart and change the color because next month the dog treats line might be doing fine. How do we form a message with known metrics and data structure but without specific data values? Instead of a message about specific data values, I consider my audience and the metrics they care about and come up with the top 2 or 3 questions they would want to answer from my report. Then I build charts that address those questions and put them in an order that matches the way my intended audience would analyze that information. This might include ordering the visuals appropriately on a summary page as well as creating drillthrough paths to more information based upon items and filters selected to help my user understand the reasons for their current values. While this isn’t horrible advice, I felt I needed a better answer on this issue. So I sought advice from Andy Kirk, and he responded brilliantly! To the issue of situations where data is periodically refreshed, I see most encounters (ie. the relationship between reader and content) characterised less by storytelling (the act of the creator) and more by storyforming (the act of the reader). Andy also agreed that a key aspect of storyforming is that interactive controls (slicers, filters, cross-filtering capabilities) in your report consumption tools give the reader the means to overcome the visual chaos that different data shapes may cause through natural variation over time. If you are a BI developer and have rolled your eyes or sighed in frustration when someone mentioned storytelling in data visualization, try thinking about it as storyforming. Make sure you have the right characters (categories and metrics) and major plot points (indicators of size, trend, or variance from target). You are still responsible for choosing appropriate chart types and colors to show the trends and comparisons, but don’t be so focused on the exact data points. Many reporting tools (including Power BI) allow you to perform relative calculations (comparison to a previous period, variance from goal, variance from average) to dynamically create helpful context and identify trends and outliers. In Power BI, there are custom visuals that allow you to add dynamically generated natural language explanations if you feel you need more explanatory text (ex 1, ex 2, ex 3). And Power BI will soon be getting expression-based formatting for title text in visuals, which can also help with providing insights in the midst of changing values. But mostly, try to design your report so that users can slice and filter to get to what matters to them. Then let your users fill in the details and meaning for themselves. In case you aren’t familiar, I would like to introduce you to the violin plot. A violin plot is a nifty chart that shows both distribution and density of data. It’s essentially a box plot with a density plot on each side. Box plots are a common way to show variation in data, but their limitation is that you can’t see frequency of values. In other words, you can see statistics such as min, max, median, mean, or quartiles, but you can’t see the individual values nor how often they occurred. The violin plot overcomes this limitation (by adding the density plot) without taking up much more room on the canvas. In Power BI, you can quickly make a violin plot using a custom visual. The Violin Plot custom visual (created by Daniel Marsh-Patrick) has many useful formatting options. First, you can choose to turn off the box plot and just show the density plot. Or you can choose to trade the box plot for a barcode plot. There are several sections of formatting for this visual. I’ll call out a few important options here. First, the Violin Options allow you to change the following settings related to the density plot portion of the violin plot. Formatting options for the density plot in the violin plot. Inner padding controls the space between each violin. Stroke width changes the width of the outline of the density plot. The sampling resolution controls the detail in the outline of the density plot. Check out Wikipedia to learn more about the kernel density estimation options. The Sorting section allows you to choose the display order of the plots. In the example above, the sort order is set to sort by category. You can then choose whether the items should be sorted ascending or descending. Next you can choose the color and transparency of your density plot. You have the ability to choose a different color for each plot (violin), but please don’t unless you have a good reason to do so. The Combo Plot section controls the look of the bar code plot or box plot. Inner padding determines the width of the plot. Stroke width controls the width of the individual lines in the bar code plot, or the outline and whiskers in the box plot. You can change the box or bar color in this section. For the barcode plot, you can choose whether you would like to show the first and third quartiles and the median the color, line thickness, and line style of their markers. Also make sure to check out the Tooltip section. It allows you to show various statistics in the tooltip without having to calculate them in DAX or show them elsewhere in the visual. This is a well designed custom visual, but there are a couple of small things I hope will be enhanced in the future. The mean and standard deviation in the tooltip are not rounded to a reasonable amount of digits after the decimal. The visual does not seem to respond to the Show Data keyboard command that places data in a screen reader friendly table. As always, make sure to read the fine print about what each custom visual is allowed to do. Make sure you understand the permissions you are granting and that you and your organization are ok with them. For example, I used public weather data in my violin plot, so I had no concerns about sending the data over the internet. I would be more cautious if I were dealing with something more sensitive like patient data in a hospital. I think violin plots (especially the flavor with the bar code plot) are fairly easy to read once you have seen one, but many people may not be familiar with them. In my weather example above, I made an extra legend to help explain what the various colors of lines mean. Another thing you might consider is adding an explainer on how to read the chart. I used a violin plot with a coworker who does not nerd out on data viz to show query costs from queries executed in SQL Server, and I added an image that explains how to read the chart. After all, we use data visualization to analyze and present data effectively. If our users don’t understand it, we aren’t doing our job well. Have you used the violin plot in Power BI? Leave me a comment about what kind of data you used it with and how you liked the resulting visual. At PASS Summit, I presented a session called “Do Your Data Visualizations Need a Makeover?”. In my session I explained how we often set ourselves up for failure when conducting explanatory data visualization before we ever place a visual on the page by not preparing appropriately, and I provided tips to improve. I also gave examples of visual design mistakes I see often. I polled the audience, and they shared some mistakes that they had seen often or that really bothered them. If you missed my presentation, you can watch it on PASS TV or Youtube. As a companion to my presentation, I created the Power BI Visualization Usability Checklist. 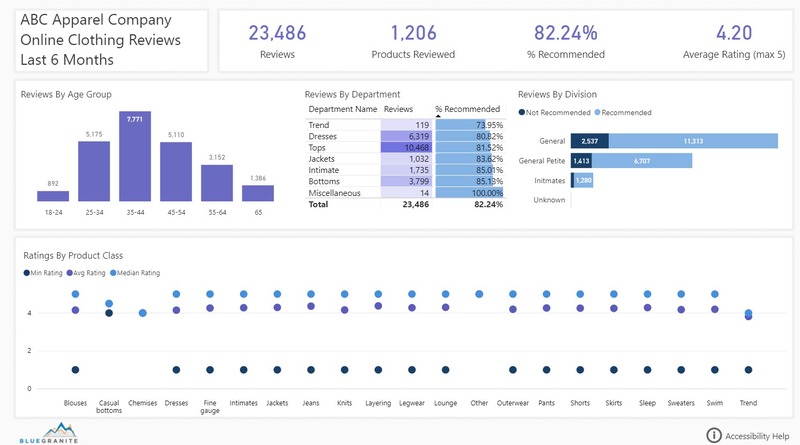 For those who are new to data visualization in Power BI, or those that want to employ some type of quality check, I think this is a good place to start. I occasionally do data viz makeover engagements to help people create a report that is more engaging and more widely adopted. 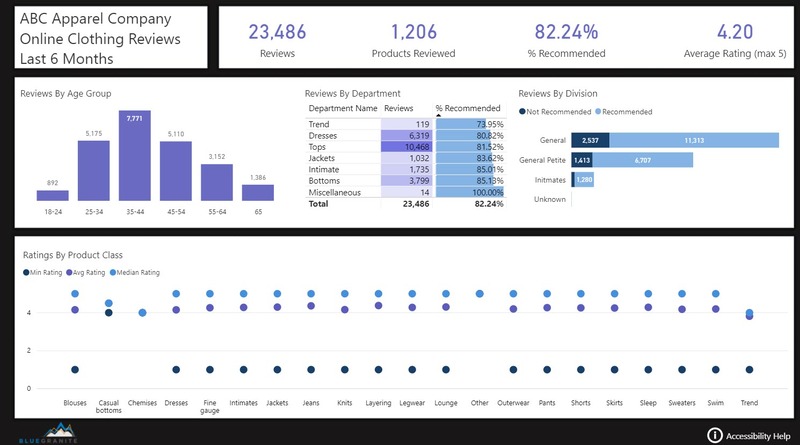 This list draws from that experience as well as the tweaks I find myself making to my own Power BI reports. And now I have added a few things that my PASS Summit audience mentioned – thanks to those who shared their suggestions and experiences! I’m not here to tell you to always use a certain color theme or font, or that everything should be a bar chart. Data visualization is situational and dependent upon your intended audience. I hope I can encourage you to consider your audience, how they take in information, and what information they are looking for. This checklist provides guidelines to help make sure your report communicates your intended message in a way that works for your intended audience. It has two pages. The Data Viz Usability Checklist page contains the main checklist for you to use while building or reviewing a Power BI report. The Data Viz Usability Concepts page gives you quick definitions and links for further reading about the underlying design concepts that inform my list. Download the checklist here. I also have a checklist for accessibility in Power BI reports which you can find here. If you have a suggestion to add to either list, please leave me a comment! Using layout images in Power BI has become a popular design trend. When I say layout images, I’m referring to background images with shapes around areas where visuals are placed. This is different from the new wallpaper feature that became available in the July release, which can be used to format the grey area outside your report page and extend the main color of background images. Layout images can help with spacing and alignment within a report and can help create consistency across reports. They can also help create affordances, using consistent layout and design to make it obvious how users should interact with our reports. I use layout images in some of my reports, but I don’t think they are necessary on every report. There are a couple of things to consider when using layout images. Don’t let your layout image take the focus away from the data. This can happen due to lack of color contrast or because the color(s) used in the layout image are much more intense than the visuals on your report page. While we may strive for consistency in report design, especially in larger organizations, we can’t let a layout keep us from creating the most effective visual to communicate the information in our data. If we start with a layout and limit ourselves to only visuals that fit that layout, that constraint may prevent us from creating a better report. If you have identified the chart type you need to communicate your information, but it doesn’t fit in your 3-column layout because the visual needs to be a bit wider, get a new template that accommodates your visual. I would rather see slightly different templates than ineffective chart types or the right chart types but the visuals squished into a space where they don’t fit (hard to read, truncated labels, etc.). You can make your own layout images or choose one that someone else has created. PowerBI.Tips offers Power BI layouts in the form of Power BI Templates (.PBIT files) with background images set on the report pages where you replace the data source and repopulate the visuals. The templates also contain report themes. Frederik Hedenstrom has a grid generator where you can set the width, height, columns, spacing, and colors. Then you can download your image and set it as your page background. Take a screenshot of my report page and paste it onto a blank PowerPoint slide. Draw shapes (usually rectangles or rectangles with rounded corners) over the screenshot where the visuals are placed. Delete the screenshot from the slide. Format the slide background and the shapes (alignment, colors, outline, shadow effects, etc.). Export the slide as an image. Import the image as the page background. Adjust the image fit and transparency as needed. Is the background more intense than the visuals to where I look at it before I look at the data visualizations? Do my visuals no longer stand out because the background color is too similar to the colors in my visuals? Can I still clearly read my charts, including all titles and labels now that the background image is in place? To help illustrate my points, take a look at this example report I have been working on. In Version 1, there is no layout image. Some might think the report looks a tad bare. While there is a layout of 3 rows, it’s not immediately obvious. In version 2, I have applied a layout image. It is subtle, using a light gray background color and a soft shadow around the shapes. It emphasizes the 3 rows, which makes sense in this report. In the top row I have the title and some summary numbers. In the middle row, I’m slicing number of reviews and % recommended by high-level categories. In the bottom row I have one visual that slices average and median ratings by a more detailed category. In version 3, I changed the background to a dark gray/light black. With that background, the dark color is the thing in the report that stands out most to me, but it provides no information and doesn’t enhance the user experience more than the subtle light version of the layout image. Layout images can be useful. You can save time by using images created by others, but don’t let a layout needlessly constrain your data visualization or distract from the information in your report.